I had the good fortune last week to be invited to lunch with Bertrand Sourdais, the dynamic 5th generation winemaker and owner of Domaine de Pallus in Chinon, smack dab in the middle of the Loire Valley. 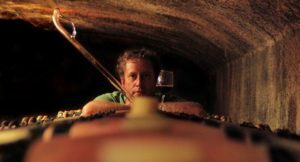 He pulls double duty as a partner and winemaker of two wineries in Spain’s Ribero del Duero region. “Thrilling, brilliant” are adjectives that have applied to the wines crafted by Bertrand Sourdais. Although his family estate is in Chinon in the Loire Valley, he made his international reputation with a Spanish wine, the 2002 Dominio de Atauta “Llanos del Almendro,” from Spain’s Ribera del Duero. In a celebrated blind tasting organized by two Europe’s most respected wine critics, Bertrand’s 2002 Atauta tied with the 1994 Vega Sicilia’s Unico, beating out the 2000 Château Latour; this was a shocking result as it was Bertrand’s first commercial vintage as winemaker. Check out this Video of the vineyards! Just after graduating from Enology school in Bordeaux, Bertrand apprenticed at Mouton-Rothschild, Santa Rita in Chile and Alvaro Palacios in Priorat. Bertrand took his first post as winemaker at Atauta in Ribero del Duero. After he left Atauta, Bertrand started Bodegas Antidoto and Dominio de ES, both in Ribera del Duero. At lunch, Bertrand revealed that he was fired by the new owners of Atauta back in 2008. Even though he did not elaborate, the firing must have been a dramatic turning point in his life and, thirteen years on, you can still see it in his eyes. It still hurts. Yet I believe that the firing ignited a passionate determination to work only for himself with a fierce drive to succeed. So he founded a new winery, with partner David Hernando, an agronomist, called Antidoto. Antidoto means antidote and it was just the perfect cure for Bertrand’s Atauta blues. It was no coincidence that they located Antidoto in the Soto de San Esteban zone in the Soria province, just a stone’s throw from Atauta! At the same time, Bertrand’s father wanted to retire and to turn the estate in Chinon over to Bertrand. Bertrand was eager to take the reins of his family estate in addition to his commitment in Ribera del Duero. Bertrand told me he drives 8 hours each way from Pallus to Antidoto and back. That determined dedication is impressive and I think it is fueled by his traumatic firing from Atauta nearly ten years ago. Those wounds are still raw to this day. Chinon is a prestigious appellation, mostly for Cabernet Franc, located in the center of the Loire Valley. It produces some of France’s meatiest Cabernet Francs which are sometimes compared to Bordeaux. As this is Bertrand’s home, his family estate, Domaine de Pallus, takes pride of place over his Spanish estates. Bertrand farms his vineyards organically, using biodynamic treatments. Yields are kept low, sometimes too low (under 1 ton/acre!). Below are the wines we tasted with Bertrand. Pallus 2014 Les Pensées de Pallus: Les Pensées boasts a dark ruby color with aromas of dried herbs, anise and rosemary. On the palate, there is medium-to-full bodied fruit of tart black plum, black currant, black tea and bright acidity leading to a vibrant mineral finish. In stock at Esquin. Pallus 2016 Les Messanges: Bertrand’s entry level Chinon, the. This is delightful fruity wine of elegance and balance. Available soon. Antidoto 2015 Ribera del Duero: this is 100% Tinto Fino (Tempranillo) produced from grapes from the Soto de San Esteban zone in the Soria province, the cooler part of Ribera del Duero. Just released, this is a serious wine that can age. Available soon. Pallus 2017 Messanges Chinon Rosé: A dry, crisp Cabernet Franc rosé perfect for Spring and Summer drinking. Fire up the outdoor grill! Available soon. Antidoto 2017 Roselito Ribera del Duero: This complex Rosé is produced from 80% Tinto Fino and 20% Albillo Mayor, a little known local white grape indigenous to Ribera del Duero. Available soon. 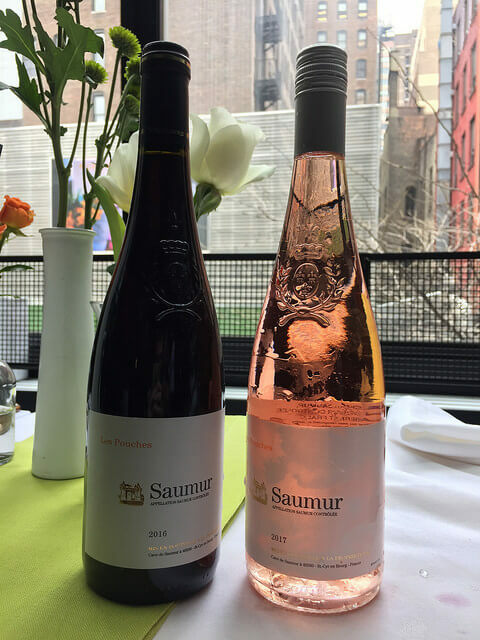 The post Tasting with Loire Valley Superstar Bertrand Sourdais of Domaine de Pallus appeared first on Madewine's Sippy Cup - Blog. I recently attended a blending seminar at Novelty Hill Januik Winery in Woodinville with the Master of Merlot himself, Mr. Mike Januik. 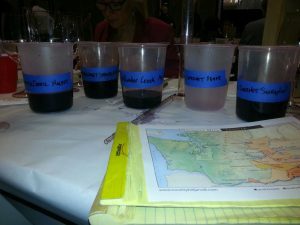 We were given five wines, out of barrel, from different sites and tasked with blending and bottling our own wine. There were no rules. First, I started with the Stillwater Creek Merlot. This is a cooler vineyard than most and makes for a great Merlot site, because Merlot ripens earlier than the other Bordeaux varietals. This wine is soft and plummy with a round mouth feel and dark berry fruits, it will be perfect for the mid pallet of my blend and could soften any hard edges the other wines might have. Third, I tried the Malbec from Stillwater Creek. Oh boy, a very showy wine with dark berry fruit and creamy texture, it is dense and dark. I realized I would have to be careful with this one if I wanted to blend with it. A wine like this could overpower a blend. 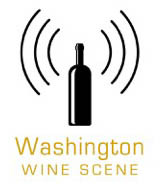 Number four was a Cabernet from the Wahluke Slope and the Weinbau Vineyard. A good example of Cabernet with slight herbal notes, red and black currants and Mocha nuances. This is a medium to full-bodied wine with moderate tannins. Number five was the Shaw vineyard Cabernet from Red Mountain. This wine has the markings of good Cabernet, like the Weinbau, but is bigger in structure. It has more concentration of fruit weight and tannin with good acid to make it balanced. I liked it, and a little could go a long way in a blend. After tasting the five selections given, and I was tasked with coming up with my own blend. The question to myself was, do I want something out of the ordinary or try my hand at a classic style that could compete with the world’s best. I decided to go for a right bank Bordeaux style with a slight twist. I eliminated the Malbec and the Weinbau Cabernet, as they didn’t have the structure I need, and decided to use the other three wines. 20% Shaw Cabernet from Red Mountain. Typically you wouldn’t see any Cabernet in a right bank Bordeaux style wine, but I wanted to add a little mussel to this blend. I used a heavy dose of Cab-Franc, because I liked it so much, and the Merlot helped soften and smooth out the transition from the mid-palette to the finish. My blend resulted in a wine with floral aromas and dark fruit that expressively carry through to the palette, with a soft and seamless texture in the transition, and a long finish. Too bad I only got to make one bottle. The post Jeff’s Januik Blend appeared first on Madewine's Sippy Cup - Blog. This little gem was recently brought to our attention, and wow – what a find. Domaine de la Pépière is in the Muscadet country in Nantes, in the western part of the Loire. Now, Muscadet is known for its white wines but here’s to hoping this lovely little red gets other vignerons in the area thinking outside the box a bit. Cuvée Granit is a blend of Cab Sauvignon, Côt (aka Malbec), and Cab Franc on a vineyard with south-western exposure that is strewn with granite – hence the name. The other red vines are still relatively young, but the Cab Franc vines clock in at an impressive (for the area at least) 40+ years old. Incredibly bright and focused, both on the nose and the palate, the wine showed off fresh notes of raspberry, cranberry, white pepper and pomegranate with enough darker, riper fruits on the finish to keep you interested coming back for more. Lots of minerality, as would be expected considering the soil, with a touch of smokiness and a hint of roasted peppers. There’s clear structure to the wine and given time, this will settle down from its youthful pep into a very versatile food wine for the summer months. Serve this at cellar temperature when the weather warms back up and you’ll be the hit of the party.